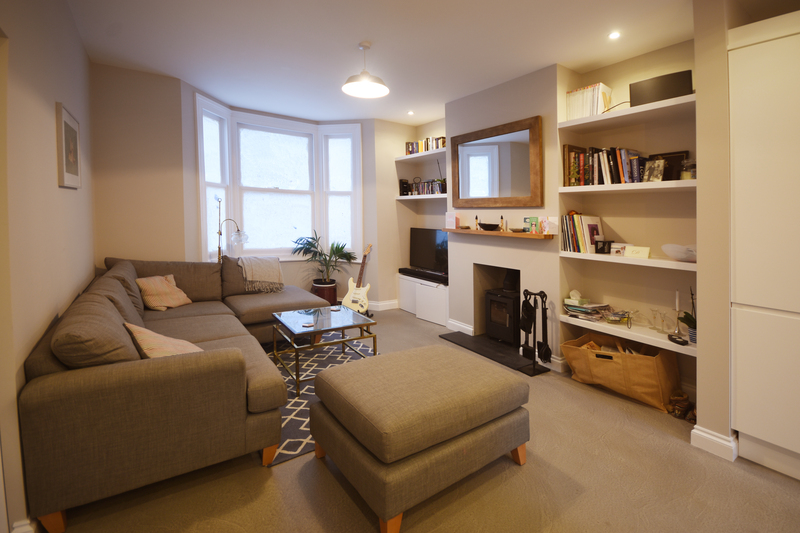 Located in the London Borough of Tottenham, N17, Greyhound Road consists of a ground floor extension, interior refurbishment and loft conversion transforming a rundown, badly converted Victorian terrace property into a light and spacious open plan living space with three double bedrooms, two bathrooms and landscaped garden. The internal refurbishment involved removing the walls at ground floor level to create an open plan living /kitchen and dining space. 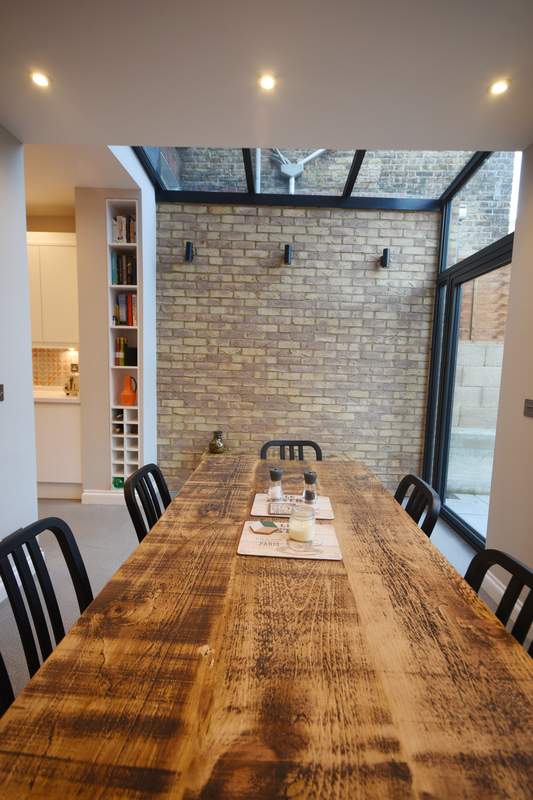 The kitchen was relocated to the centre of the ground floor, a central island unit was added, creating a walkway linking the living room to the front and dining space to the rear. 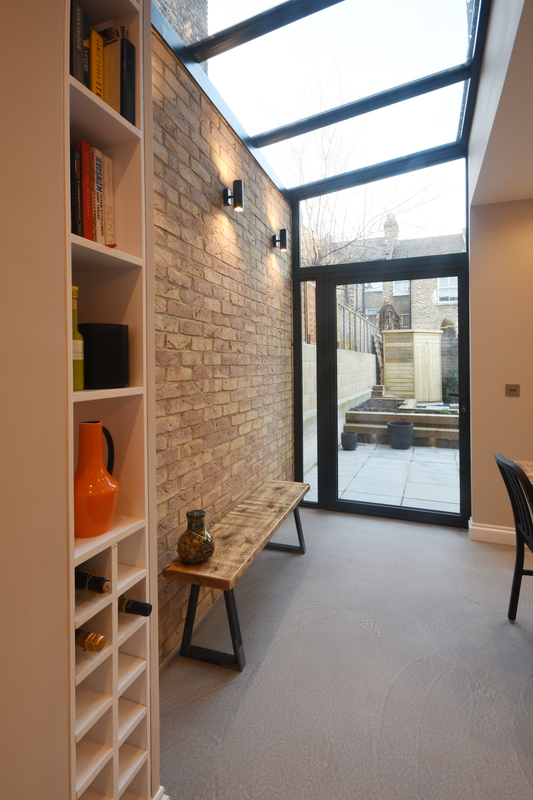 A structural glass extension extends from the dining space, illuminating the living space with natural light. Towards the rear an oriel bay window playfully protrudes out from the façade, framing the dining space as well as providing seating with views into the garden. The interior of the living space has been designed to be a seamless as possible with drainage pipes concealed and built in shelving to the alcoves, exposed brickwork to the extension and tiling to the kitchen contrasts with the light beige painted walls. Underfloor heating was fitted throughout the living space along with an industrial screed finish. 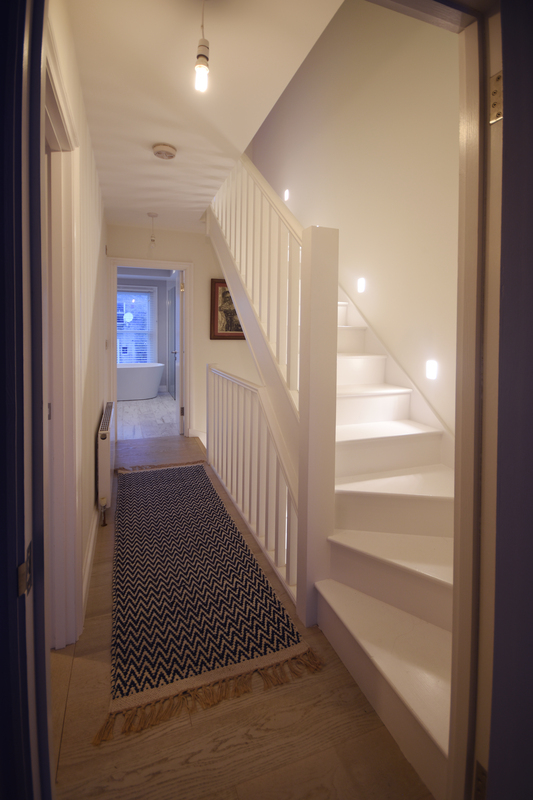 A split floor level was removed and a new bathroom and staircase raised to increase the ceiling height at ground floor to the rear. 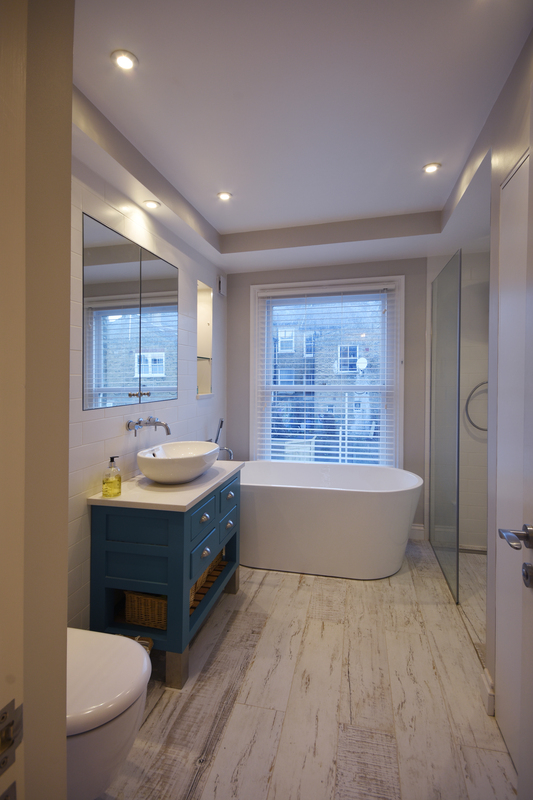 An existing central bathroom was removed returning the bedrooms to their original proportions, and a new, large and bright bathroom with freestanding bath tub, walk in shower and utility cupboards introduced. Above, a shower room forms part of the loft extension easily accessed from a new spacious master bedroom with built in cupboards. The new loft extension is clad in dark tiles coordinating with the new glazed windows a contrast to the yellow London Stock brick and white timber sash windows of the existing house. A Juliette balcony, enables views into the garden.